This is the first instalment of a five-part series on dealing with grief in the loss of my spouse. A young woman, who has been following my blog for a while noticed the change in my writing late this summer. She asked, “What made the difference?” Her father passed away three years ago, and she has been going through her own grief all the while supporting her mother through hers. I took the time to ponder her question and in doing so, summarized my own journey from a different vantage point. I eMailed her over the course of these past few months. In my first correspondence I suggested that I would not offer everything at once with a commitment to offer more as they felt they had reached their own conclusion, had found their own “fit” and were ready for more. After all, grief is a process and to relay it as a means to guide, offering all of the information at once will not allow time to reflect on each phase into self-discovery. As always, I cautioned that this is “my” journey and each journey is about the individual relationship with the deceased and our fundamental beliefs about death. This is my first piece of correspondence to this young woman. In the early days, there was no meaning to anything. The sun rose and set, the traffic continued to move to unknown destinations and people continued to laugh, to love and to live. Nothing made sense and I wandered aimlessly. The clock kept ticking yet time stood still. I cried myself to sleep every night. How long did I cry? Six months, a year and all that time Bill never came home, never came to me to say goodbye. No matter how much I refused to participate in life, nothing could bring him back to me. Although I strove to be a good little griever, I was grieving without a goal. I had not made a sincere attempt in accepting the fact that Bill and I would now have a different relationship. My life seemed to have no purpose or meaning. My days were filled with pain, and they seemed to last forever. 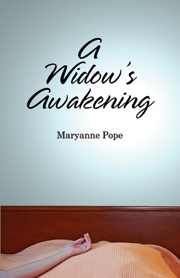 To connect more with Ginette you can read her blog BForever, A Widow’s Perspective.